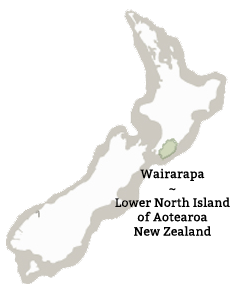 Wairarapa’s right in the centre of New Zealand, and just a short hop over the hill from Wellington. Jump on State Highway 2 for a direct, scenic drive up through the Remutaka (Rimutaka) Pass and down into the Wairarapa plains. It’s 1hr 10 to Featherston. Add another 15 min for Greytown or Martinborough, or 20 min for Carterton or Masterton. Check conditions on the Remutaka Pass on web cam. This driving-times page is super handy. Wairarapa is a great day trip from Wellington and there are lots of ways to do that. Trains run every day connecting Wellington with the Wairarapa towns of Featherston, Greytown, Carterton and Masterton. We’ll provide detailed directions to Hillsworth Homestead, once you’ve confirmed your booking. The Wairarapa is recognised as a boutique food producer and wine tourism destination. It is central to the Classic New Zealand Wine Trail, an unforgettable wine and food experience along a signposted 380km (240 mile) route. Wairarapa’s food highlights include Schoc Chocolates, Olivo olive oil, Medici Cafe in Martinborough, Tirohana Cellars and Bar Salute. The region offers wine lovers the unique experience of buying directly from the person who makes them through the cellar door. Martinborough, which is internationally renown for its Pinot Noir, features over 20 vineyards – many with cellar doors – while further up the valley in the wine growing areas of Gladstone, Opaki and Masterton around 10 wineries offer the same relaxed appeal. Several Wairarapa food producers offer short, interesting tours and tastings. A great day long tour with a train trip from wellington is the Tranzit Martinborough Gourmet Wine tour. Copyright © 2019 Lifestyle Block. All rights reserved.